“Only if you dive for pearls shall you find one” If you want to find new members for your Grange, you must first believe that they exist. After all who goes looking for something they know doesn’t exist. Once you allow yourself to believe that new members are out there, your mind can then move on to formulating a plan to find them. I’m currently working with a Grange on a membership drive. One of the current members suggested that we set up a booth at a chicken talk being held at a local feed store. What better audience could there be for a grange that does a nice agricultural fair each year? There were more than 60 people who showed up for this chicken talk and we had a very nice opportunity to speak with people about the grange. Will this local grange get new members this way? Its too early to tell. 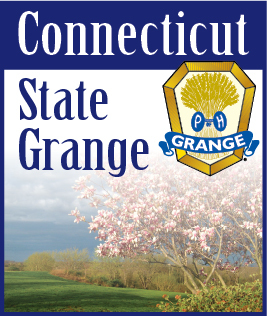 We gave out ten applications and next comes the follow up to see if we can persuade them to give the grange a try. While the chicken talk was a great way to meet people, at little more prep work would have been helpful. The two things I really would have wanted were: items to set up an attractive booth highlighting the Grange and membership applications that explained what activities that local Grange is envolved in. The CSG Membership committee is currently working on kits that will allow subordinate granges to set up nice booths with nice banners and general information about the grange. Our plan is to make enough of these kits to give one to each Pomona Grange for use by all their subordinate granges. So second item needed, would be membership applications for your Grange. A few nice pictures, a few events to highlight and the name and address of the person the applications should be mailed back to. A few nice pictures, most of us have them. A few events to highlight, if you don’t have any, time to have some. Name and address of the person to return the applications to: you are going to be asking people to join your subordinate grange. Asking people to send applications and checks to a central office in Glastonbury, maybe not the best way to go.